AOCD teams up with The Shade Project! The AOCD is teaming up with The Shade Project, a 501c3 non-profit organization dedicated to the prevention of skin cancer. A pilot program to provide education and resources to recently diagnosed SKIN CANCER patients was recently launched. This program focuses on providing education and outreach for newly diagnosed skin cancer patients and increasing sun safety awareness in AOCD dermatologist’s communities through education and building physical Shade structures in schools and parks. Patient outreach will center on patients with a new/recent skin cancer diagnosis. Newly diagnosed melanoma patients will receive a physical care-box of prevention information, sunscreen, sunglasses, UV bands and local cancer support resources. Basal and squamous cell patients will receive a digital care-box that includes reminders on annual skin checks and sun safety education to reduce the risk for recurrence. Participating physicians can choose to submit the name of a local school, park or pool to be considered for a shade structure grant that will benefit their community. One shade structure will be awarded through the grant process during the six-month pilot program. Any physicians interested in joining this new initiative can contact Diane Morgan, E.D. 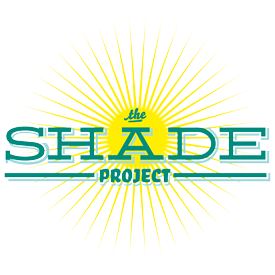 of The Shade Project at diane@theshadeproject.org or 512-924-9543.